We partner with several Idaho dental insurance companies such as Blue Cross of Idaho, Delta Dental of Idaho, Ameritas, Humana, and LifeMap. Between all these companies, you're sure to find a plan that fits your needs and your budget. See the information below for rates, benefits, and online applications. Please contact us if you have any further questions. Have your teeth cleaned and examined every year and get rewarded with greater benefits the next year. Watch your annual benefits increase and your out-of-pocket expenses for co-insurance decrease. By year four,you can reach a maximum annual benefit of $1,500. And the percentage the plan pays in coinsurance increases to 100/80/50 by year three. This means Regence will pay 100% of preventive care, such as routine cleanings; 80% of restorative care, such as fillings; and 50% of major dental care like crowns or root canals. Imagine dental coverage that increases as you are proactive about visiting the dentist. 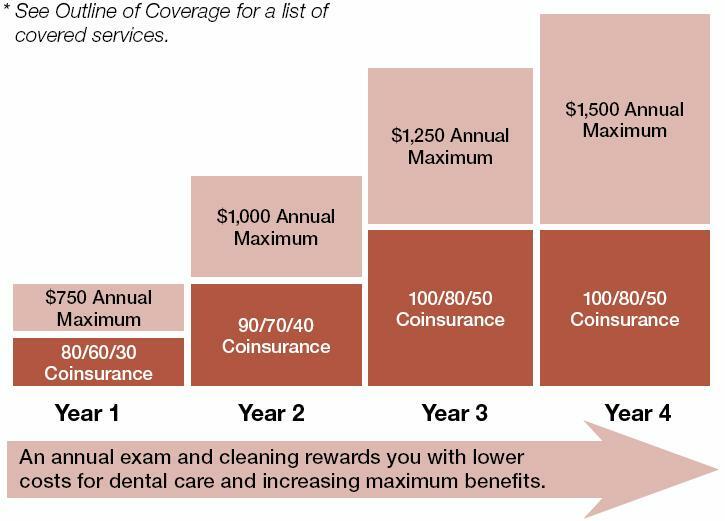 That’s the idea behind the Regence Individual Incentive Dental – offering financial rewards for an annual checkup and cleaning. If you are an employer looking for competitive group dental insurance quotes in Idaho please contact us for a quote. 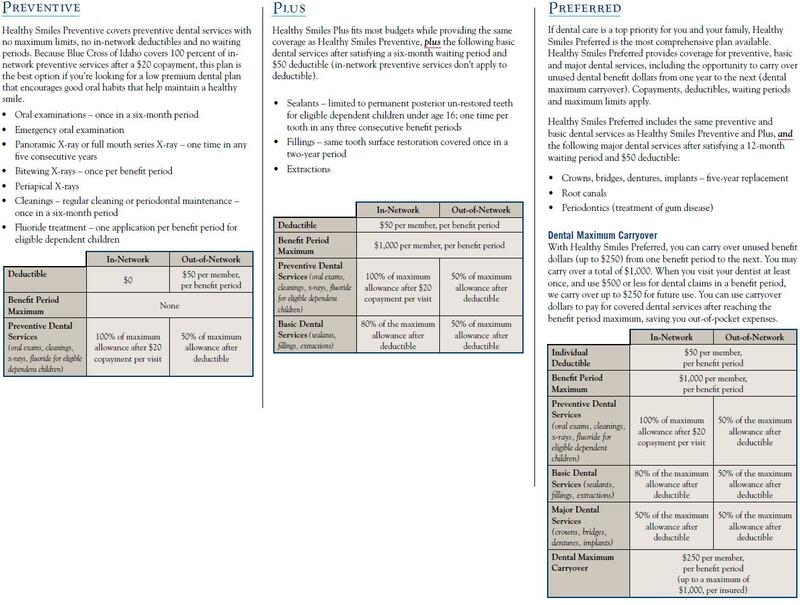 More insurance companies other than Regence and Blue Cross of Idaho participate in the group dental insurance market that don’t offer individual plans, such as Delta Dental of Idaho, Metlife, and Reliance Standard. Plans and rates vary based on employee count, so please contact us for the specifics.